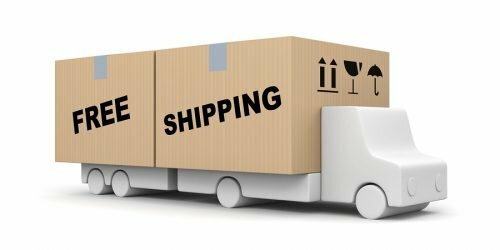 Free delivery & returns: do customers now expect it? The world is moving faster than ever and this is certainly being reflected in online shoppers’ desires when it comes to delivery and returns. An increasing amount of shoppers expect an exact date and even an exact time slot telling them when their purchase will arrive with them, allowing them to plan busy schedules around this. Packaging and shipping is no longer just a way of receiving a product purchased online – it’s part of the shopping experience and you can make a good shipping and packaging experience an extension of your brand. Where else has the increase in customer expectations surrounding delivery and returns online come from? Marc Iampeieri, director of AlixPartners said it is ‘a reaction to what market leaders in retail are putting out there… consumers say, ‘I like that’ and now everyone has to offer it’. Delivery – what do online shoppers want? A study carried out by MetaPack found that 66% of people chose an alternate retailer to their first choice because the delivery options were more appealing and half of those surveyed stated that they would have been happy to pay more for a better or more convenient delivery option. 86% of shoppers desired fast delivery, whilst 83% expect a guaranteed delivery date. 76% of shoppers viewed a retailer’s return options before even placing an order. 80% expect a dedicated time slot for their delivery. 49% of UK shoppers would never use a retailer again following a bad delivery experience. Forms Plus can supply label types that facilitate the online shopping experience for your customers, allowing them to have all the information they need on a single form, rendering the returns process quick and easy. Forms Plus offer free label samples so you can ‘try before you buy’ – click here to request a free sample or contact us directly.